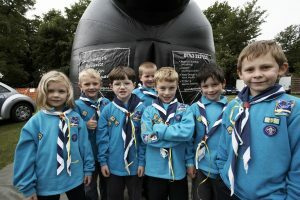 Beavers are between 6-8 years old and are the youngest section within the scouting family. Beavers are known as THE TURQUOISE NINJAS!!!!! Never, ever, turn your back on a turquoise ninja! 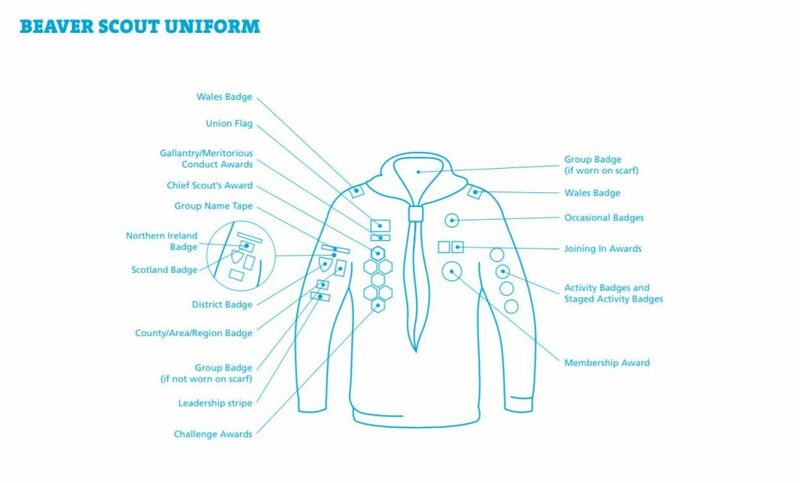 Beavers love their badges just as much as the rest of Scouting. A description of what badges they can get, and where they are placed on the uniform can be found here or see the picture below. Beaver Scouts will do all the usual scouting activities, such as camping and fires. The main difference is they have less exposure to pointy things! The Scout Association has a page for information on Beavers.